“Dangerous Hero: Corbyn’s Ruthless Plot For Power, contains numerous falsehoods. It systematically omits relevant facts in order to portray Corbyn as a ruthless Marxist and anti-semite hell-bent on destroying Western liberal values”. “Bower has made an astonishing number of factual errors – more than I have ever come across in a book from a mainstream publisher. While something has clearly gone horribly wrong with the editing process at William Collins, Bower is the author and must take full responsibility. “This consistent inaccuracy is made worse by the fact that there are no references nor citations. Quotes are frequently provided without naming the source. Bower says that he does not provide references because he does not want to compromise those who have given him information. He also cites “legal reasons”, though he tantalisingly does not explain what they are. “Are British journalists allowing hostility to Corbyn to get in the way of telling the truth? Has there been a balanced discussion of the anti-semitism claims against Corbyn’s Labour? The warm reception for Tom Bower’s ugly hatchet job on the leader of the opposition suggests that something has gone badly wrong with British public life. “We need to pause and reflect”. Peter Oborne won best commentary/blogging in 2017 and was named freelancer of the year in 2016 at the Online Media Awards for articles he wrote for Middle East Eye. He also was British Press Awards Columnist of the Year 2013. He resigned as chief political columnist of the Daily Telegraph in 2015. His books include The Triumph of the Political Class, The Rise of Political Lying, and Why the West is Wrong about Nuclear Iran. Is it ‘a myth’ that the ‘left behind’ have been neglected? ”Those in poor northern constituencies and bleak coastal towns were left trailing in the gold-flecked dust thrown up by the golden chariots that bore the wealthy, the Londoners, the elite onwards — throwing back their heads to laugh heartily and pour some more Bolly down their gullets while failing to give a monkey’s about those in their wake”. 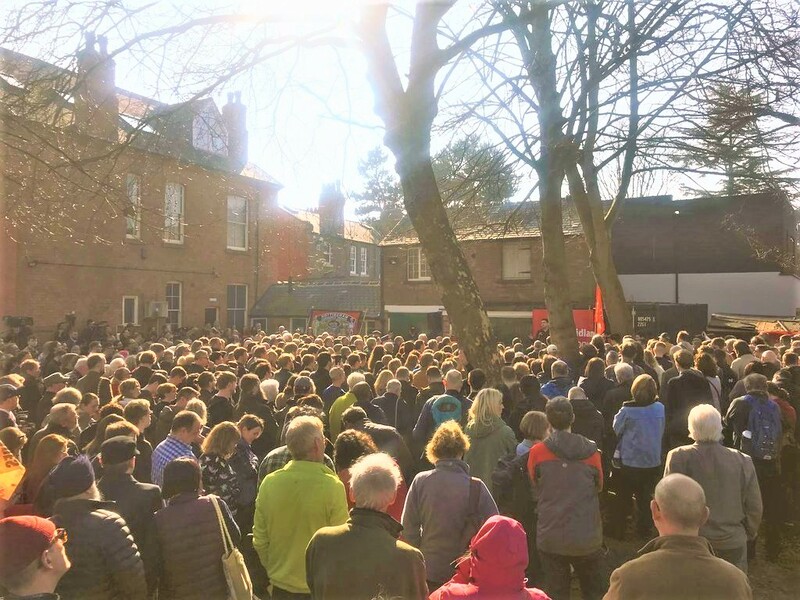 Truly, those in poor northern constituencies and bleak coastal towns were and are left trailing – but the elite do not spend time laughing at them – those people are neglected because they are simply of no interest. She asserts that the deindustrialised towns have suffered because of globalisation or automation, not because those in government sat on their hands. But the elite constructed, fostered and continue to be enriched by globalisation and automation – the system which impoverishes many is necessary to their lifestyle. Clare admits that “When you know that you are on the lower rungs of a socio-economic ladder that reaches, at its heights, into the realm of millionaires and sports cars and Maldivian holidays, you may well feel resentful. It must be profoundly demoralising to see swathes of your countrymen and women enjoying seemingly easy success while you struggle”. “With a more benign and interventionist establishment at the helm, the taxes of rich people could be spread thickly all over the country with no fear that wealth will flee; billions could be borrowed for major infrastructure projects with no damage to our economy; the streets of Grimsby and Oldham would be paved with gold. 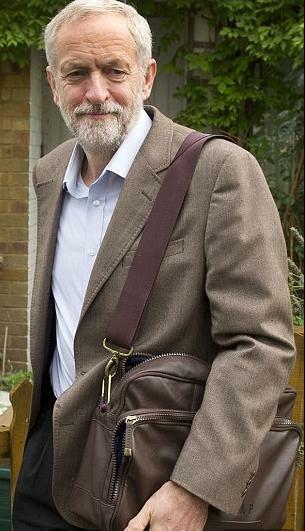 By giving this impression, we are inviting people to vote for Jeremy Corbyn and his fantasy economics”. But would those in government circles – who benefit from corporate sinecures, stock exchange speculation and commodity trading – be willing to change the globalised system for one in which government invests in strengthening the economy through regional production and supply chains? Or will they oppose such changes with all their might, to maintain their current privileges? ‘Bring back control’ to Brexit donors? Or to representatives of the people? Today, the Times has published evidence that leading Conservative donors, who spent millions on the Brexit campaign, now believe that Britain may never leave the European Union at all. This evidence supports Owen Jones’ view of a division in society “between a rapacious elite that has plunged Britain into economic and social crisis on one hand, and a majority that suffers the consequences on the other”. One named donor was hedge fund manager Crispin Odey, founder of Odey Asset Management and a big financial backer of the campaign to leave the union, who has given more than £870,000 to money to pro-Leave groups, to Conservatives, Ukip and Jacob Rees-Mogg’s North East Somerset constituency in the last general election. Odey had been betting heavily on a sharp fall in the value of UK government debt in April, according to investor documents seen by the Financial Times. He revealed yesterday however (in the Times), that he was now betting on the pound to strengthen after Brexit failed, in the expectation that leaving the bloc would hit the UK economy hard. Jeremy Hosking (below right), a fund manager who donated £1.69 million to the Brexit campaign and has given £375,000 to the Conservatives since 2015, said he was worried that the country would end up with something that was “not a Brexit deal at all”. Terence Mordaunt, who donated £50,000 to the Brexit campaign and more than £30,000 to the Tories since 2003, said he feared that “we may never get out”. Government insists that Theresa May’s Brexit deal will give the UK “flexibility”. Flexibility for employers to exploit workers. Flexibility for big corporations to pollute our environment. Theresa May’s government prolonged the current parliamentary session over two years, to avoid a Queen’s Speech on which they could lose a vote. The government packed the standing committees (which scrutinise legislation) with Conservative majorities by procedural sleight of hand. A secretary of state repeatedly misled the House and its committees over the extent and existence of Brexit sector analyses reports. The government deliberately broke the Commons’ “pairing” convention when an opposition MP was on maternity leave so that the government could win a vote. The government committed itself to billions of pounds of public expenditure in a blatant bribe to the Democratic Unionist party for support. The government repeatedly seeks to circumvent or abuse the Sewel convention in its dealings with the devolved administrations. The government seeks to legislate for staggeringly wider “Henry VIII powers” so that it can legislate and even repeal Acts without any recourse to parliament. The government sought to make the Article 50 notification without any parliamentary approval and forced the litigation to go all the way to the Supreme Court (where it lost). The government employed three QCs to oppose the litigation on whether Article 50 could be revoked unilaterally (which it also lost). This government became the first administration in parliamentary history to be held in contempt of parliament following its refusal to publish the full Brexit legal advice issued by the Attorney General. He ends: “Mr Bercow did more in allowing that vote to “bring back control” than any single leave-supporting MP has done since the referendum. The press should be celebrating that an over-mighty executive was halted and that the people’s representatives got to have their say”. On the 2nd December the Daily Record revealed that Gateshead Mills in Fife, which ‘presents’ as a small ‘design and creativity charity’ operating from an old Victorian mill in Fife, has been revealed in leaked documents passed to the Sunday Mail – the sister paper of the Daily Record – as the base for The Institute for Statecraft, whose Integrity Initiative is run by military intelligence specialists and receives £2million from the Foreign Office. Spokesman Stephen Dalziel said: “It (the IFS) was set up 14 years ago and the Integrity Initiative programme was started three years ago to look at disinformation and malign influence on democratic societies and it just so happens it’s the Russians who are doing most of that at the moment . . . What we have done is to set up this network across Europe of people who understand what the problem is”. The Integrity Initiative claims to have built a network of networks of people who operate to counter Russia’s ‘disinformation’. The UK cluster has staff from the Institute for Statecraft, people representing hedge fund interests, think tanks like DEMOS, RUSI, Henry Jackson Society, European Council on Foreign Relations, and Chatham House, as well as from the Ministry of Defence (including EU Joint Headquarters at Northwood), the Foreign and Commonwealth Office, and several journalists. The link to the Daily Record article is no longer accessible but one dated a week later – and far less revealing – may be read here. Another article, first seen in NY Herald Tribune, reproduced with permission from the UK Column, presents a fully illustrated and even more revealing information and – to date – its link works. The investigation has found evidence that the programme’s official Twitter account has been used to attack Corbyn, his strategy and communications director Seumas Milne, the Labour Party and its officials. Further leaked documents appear to indicate that the Integrity Initiative’s “Spanish cluster” swung into action on hearing that Pedro Banos was to be appointed director of the national security department. The papers detail how the Integrity Initiative alerted “key influencers” around Europe who launched an online campaign against the politician. The manager of the Integrity Initiative ‘appears to be’ Christopher Donnelly. A website biography states that he is a reserve officer in the British Army Intelligence Corps who previously headed the British Army’s Soviet Studies Research Centre at Sandhurst. Between 1989 and 2003, he was a special adviser to NATO Secretaries General and was involved in dealing with the disintegration of the Soviet Union and reform of newly emerging democracies in Central and Eastern Europe. He left NATO in 2003 to set up and run the UK Defence Academy’s Advanced Research and Assessment Group. In 2010, he became a director of IFS. UK column adds many other staff names, including that of the active Andy Pryce. an event called ‘DEMOCRACY AND PROPAGANDA: Can independent media defend universal values?’, said to have been held in the Hilton Hotel in London, though the link advertises a Ukrainian location.. This was organised jointly by the European Endowment for Democracy and the EU Eastern Partnership, which, it turns out, is an FCO programme(link now not working) that “works to counter and reduce the effect of destabilising disinformation”. in October he took part in the Atlantic Council’s Global Forum on Strategic Communications and Digital Disinformationevent, held in Washington DC. Of note here is that this was a two-day event. Andy Pryce’s contribution came on day two, which has not been made available on video. UK column journalist Mike Robinson made a FOI request for more information but this was refused on the basis of ‘national security’ – though he noted that the Freedom of Information act says that national security can only be used as grounds for refusal where intelligence services are involved. The FCO’s response is now under investigation by the Information Commissioner. Some will want to read more about the Integrity Initiative, which appears to be acting in the way that western governments and media claim Russia is doing. Oliver McTernan, a former Senior Adviser at the Club of Madrid and a Visiting Fellow, Weatherhead Center for International Affairs, Harvard University. In 2002, he initiated and participated in the first official high-level post conflict talks between NATO and the government in Belgrade. For 25 years he was Executive Committee Member, Pax Christi International, responsible for the movement’s East-West Dialogue programme during the Soviet period. He is the founder and a director of the St Sergius Trust Fund based in London and Moscow, and was earlier a Roman Catholic priest based in the diocese of Westminster. An FT montage by Charlie Bibby decorates an article titled ‘Ultra-rich shift assets as fear of Labour government mounts’. The above slogan and background are covered with pictures of £50 notes (see next post). 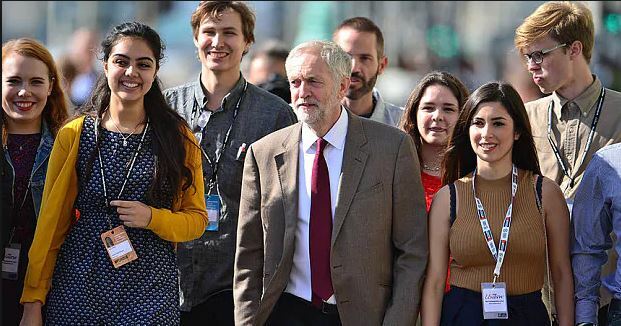 Subtitled ‘Prospect of Jeremy Corbyn in No 10 is seen as a bigger threat than Brexit’ the article alleges concerns among the wealthy that Jeremy Corbyn could become prime minister, intensified as government plans for an orderly Brexit appear shakier. They fear that a general election could take place in which Labour triumphs. It is said that London’s ultra-wealthy are moving assets out of the UK and some are preparing to leave for Switzerland, Monaco, Portugal and the US, as concerns over a leftwing Labour government led by Jeremy Corbyn intensify among the super-rich. Saunderson House, the wealth manager survey. The first responds to the phrase: “Labour said in last year’s manifesto that it planned to increase income tax for people earning above £80,000 — about 5 per cent of the UK population”. 80k is not a ‘low’ threshold. It’s is stonkingly above the national average and you are very lucky to have it. You might have costs, but so does someone on a third of your salary. (And later) How is three times higher than the national average, and earned by less than 5% of the British working population a “low” threshold???? And don’t give me the “yes but mortgage, bills, spouse, kids, car (holidays, fun times, tuition fees, clubs…)” mantra. Those on the national average also have to pay the above, in fact, most pay rent, which is twice to three times the cost of a mortgage. Your income does not reflect your value as a person. Get over it. It just means you work in a higher earning sector. You don’t work harder or better than teachers, nurses, midwives, cleaners, drivers or anyone else who would love your working hours. Nor are you brighter, smarter, better looking or more deserving than they are. You will not get taxed at 60% if Corbyn gets in. He won’t have a House majority to push it through. If you don’t understand that simple fact of political life, how the blazes do you earn so much? And if you do know he won’t get a majority in the House to go full the Chavez, quit whining. At the very worst you’ll get a nationalised railway, which you probably aren’t averse to and won’t use anyway because you’ve got a chauffeur and/or a Beamer. Or an Audi, which has no indicators, tail gates like it wants the other car’s babies, and has a dodgy speedometer which makes you think going at 95 is within the national speed limit. If you don’t understand the sentiment and underlying socio-economic issues and disenfranchisement across your fellow countrymen, women and national family that makes Corbyn popular, and which facilitated Brexit, YOU are part of the problem. Physicians heal thyselves then get back to me. You are not, as an individual, qualified or aware enough of all the complexities it takes whole institutions to calculate and thousands of minds, to decide what level of tax is ‘fair’, let alone sensible. 6. You live in a low tax economy with plenty of tax minimisation options, so stop sulking”. What a hysterical little article – ‘should Labour seize power’, what you mean win a democratic election? Which party gave us Brexit? Are the electorate so dim? The ultra-rich protecting themselves from democracy is hardly new. Having extracted huge amounts from the state or the working classes, naturally they want to avoid giving some back. It always amazes me when FT subscribers have such little financial knowledge that they try to blame Labour for problems which were largely created in the US mortgage market . . .
Another reader comments: Complete nonsense. The policies are lifted from Scandinavian countries. Are you sure scared to make this comparison in case the people realise that this notion is actually a good thing for them? We only have to look at Scandinavia to see what true fairness in business does. We need to instil an attitude of fairness across the board; sadly many people, as indicated in these comments, begrudge a better standard of living for the poor and prefer complex schemes.